We’d love your help. 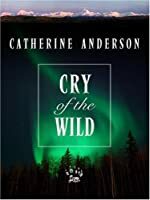 Let us know what’s wrong with this preview of Cry Of The Wild by Catherine Anderson. When her brother disappeared, last seen leaving a forest lodge, Crysta Meyers left the big city behind her to join in the search for her missing twin. But the hazards of civilization couldn't compare to the dangers Crysta would encounter in the Alaskan wilderness—because the greatest threat came not from nature, but from man. Someone was bound and determined to stop Crysta When her brother disappeared, last seen leaving a forest lodge, Crysta Meyers left the big city behind her to join in the search for her missing twin. But the hazards of civilization couldn't compare to the dangers Crysta would encounter in the Alaskan wilderness—because the greatest threat came not from nature, but from man. To ask other readers questions about Cry Of The Wild, please sign up. Anderson does a fairly good job of drawing her characters, but her writing is something to be desired. 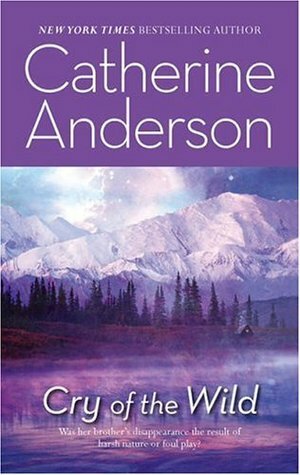 I really enjoy Catherine Anderson's stories, especially when they take place in wilderness areas. This one could have had more about life in Alaska and especially on the trail, but the main protagonist was a woman of the city, used to LA and not the backwoods. At any rate, although you pretty much knew who were the good guys and who the bad from the beginning, it is a great read, and I was thrilled to get some of her out-of-prints. Lindsey manages the BioTech Company’s campgrounds and discovers a body in one of the tents. BioTech’s new PR officer, Noah, starts asking a lot of questions. Noah is there to investigate some missing research and was to have met with the dead man. Lindsey soon figures out he’s not who he says and helps in the investigation. The story was not too complex but there were several secondary characters that were interesting and fairly well developed for a short novel. This is an older C.A. It was a nice read. A little lite on the romance, like most of her earlier stuff. The suspense was nice and it has a satisfying ending. More of a mystery than romance. Crysta goes to look for her twin, after dreaming about someone trying to kill him. Adeline Catherine was born and raised in Grants Pass, Oregon, USA. She always yearned to be a writer like her mother. The morning that one of her professors asked if she could use samples of Catherine’s creative writing on an overhead projector to teach was Librarian Note: There is more than one author in the GoodReads database with this name. See this thread for more information. Adeline Catherine was born and raised in Grants Pass, Oregon, USA. She always yearned to be a writer like her mother. The morning that one of her professors asked if she could use samples of Catherine’s creative writing on an overhead projector to teach was a dream come true. In 1988, she sold her first book to Harlequin Intrigue and went on to write three more before she tried her hand at a single-title historical romance. Nine books later, she did her first single-title contemporary. Catherine married Sidney D. Anderson, an industrial electrician and entrepreneur. They had two sons, Sidney D. Jr. and John G. In 2001 she and her husband purchased a central Oregon home located on a ridge with incredible mountain views and surrounded by forestland honeycombed with trails. It was her dream home, a wonderland in the winter and beyond beautiful in the summer. She named it Cinnamon Ridge after the huge ponderosa pines on the property, which sport bark the color of cinnamon. Sadly, Catherine lost her husband to a long-term illness in 2014. She has kept Cinnamon Ridge as her primary residence but divides her time between there and her son John's farm, where she has the support of her loved ones and can enjoy his horses, cows, and raise her own chickens.